Our excellent team, working with the latest technology, will take care of all of your 3PL order fulfillment and storage requirements. Offering the best service in the market is what makes us proud. Customer service is the key to success for us at Lincoln Distribution Inc. We understand that successful business operations revolve around efficient global warehousing and distribution and we do this through our warehouses located in Tampa, Florida and Buffalo, New York. Pick-and-Pack is what we do best. Whether it’s picking from individual units, cartons, or skids, we do what it takes to keep your customers happy. At Lincoln, we have all the experience, the team and the resources to serve your customers effectively. Our customers ship to a variety of Business-to-Business and Business-to-Consumer clients. When returns are needed, we handle the reverse logistics for you, relying on the services of FedEx and UPS who make daily pickups at our warehouse locations to make this service even more convenient for you. Customers with a high duty rate on their products represent the biggest users of Foreign Trade Zones. A foreign trade zone (FTZ) is a geographical area in or near a U.S. Port of Entry that represents the United States’ version of what are known internationally as free-trade zones. At Lincoln, we can help your company understand the significant cost savings associated with a foreign trade zone (FTZ), where a product can be stored with U.S. Customs duties deferred in one of our warehouse storage facilities until the product is ready for your customers. We provide our clients with an innovative inventory/order management system, offering you access to submit orders 24/7 and watch over your inventory with transparency. We give you an exclusive user ID and password combination, so that only you can access the system’s account. Presently, Lincoln manages over 5,000 stock keeping units and this number grows every day! Freight brokerage is all about making the best connections between our clients and reliable transportation services as well as coordinating all the shipments details. At our warehouses, we connect with different carriers to make sure our customers obtain the best price and quality of service available in the market. At Lincoln Distribution, we have negotiated rates with multiple national carriers to offer you different alternative. By leveraging our volume, we can guarantee you’ll get the best prices for LTL, TL and intermodal shipments. 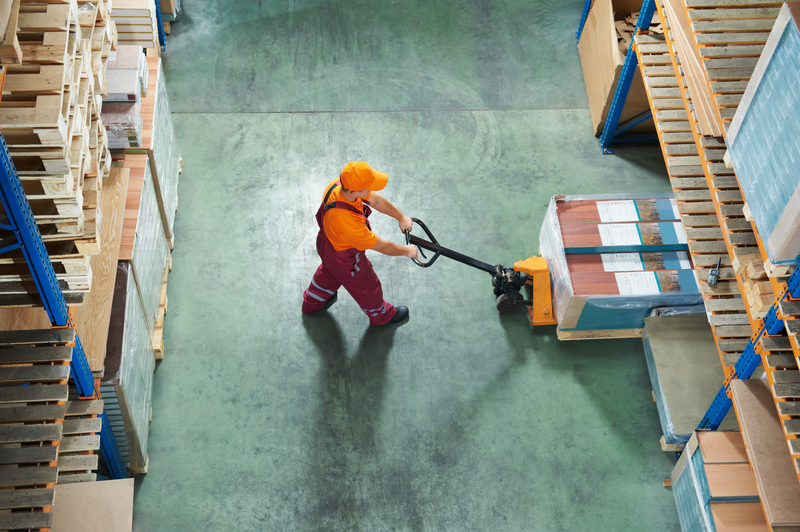 At Lincoln, we offer our clientele with a one-stop-shop for all transportation and warehousing needs. We also provide over 400,000 sq. ft. of warehouse space, and additional extra added-value warehousing services for our clients, such as Labeling and Barcoding, Custom Packaging, Freight Consolidation, Cross-docking, among others. The element that sets Lincoln apart from other warehousing companies is our customer service. We have learned that superior service is directly linked to customer satisfaction, and we work really hard in understanding and getting acquaintance with your company’s procedures and logistics so we can offer you a better and more effective service. At Lincoln, we understand the importance of having the right product, at the right place, at the right time. Logistics, shipping, warehousing and cross docking were very daunting words for our business, but Lincoln Warehousing resolved everything for us! They have helped us grow our business exponentially as it gave us the ability to focus on everything else. The staff is phenomenal – they are extremely responsive, they understand tight timelines, and are incredibly efficient. Their customer service is first class! We could not ask for a better partner for our growing business! Lincoln Warehousing is a family-owned logistics company that is operated by a dedicated and knowledgeable team of professionals. In business since 1914, we’ve established a solid warehousing & transportation reputation. We have warehouses located in Buffalo, Syracuse, NY & Tampa, FL to help serve your needs.